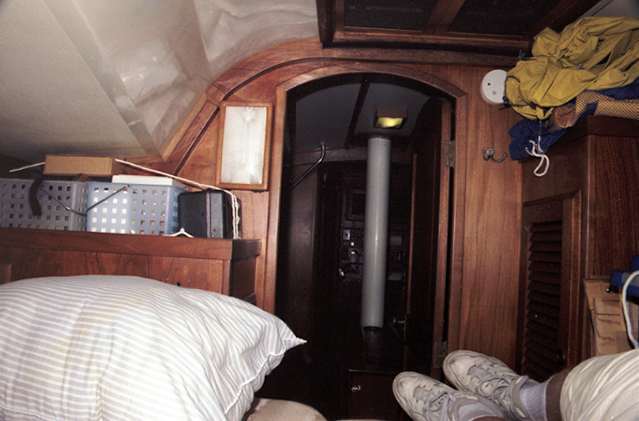 Interior view, forward cabin. I took this picture lying down on the forward berth and aiming aft. You see the hanging locker and foul-weather gear to the right. The round white object near the foul-weather gear is a smoke detector. To the left, you see the set of drawers with bins on top for miscellaneous small items.